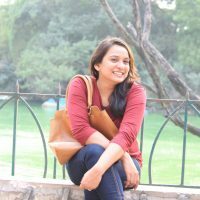 Nikita Tiwari is an Assistant Program Officer for TCI-TARINA. She is responsible for monitoring and reporting on the progress of ground-level implementation across program locations in Bihar, Odisha, and Uttar Pradesh, with a special focus on increasing consumption of nutritious, non-staple foods through behavior change communication (BCC) and improving female farmers’ access to agricultural services. Tiwari is the coordinator of program activities, including data collection for monitoring and evaluation (M&E), in the Kandhamal and Kalahandi Districts of Odisha. She also assists with conceptualizing and organizing policy advocacy events, as well as coordinating TCI-TARINA’s summer internship program. Tiwari holds a master’s degree in social work from the Tata Institute of Social Sciences (TISS) and a bachelor’s degree in social work from Jamia Millia Islamia University. Before joining TCI, she worked for Butterflies as Head of the Resilience Center and Childline Services Program, responsible for providing psychological and legal support to children in need of care and protection. Tiwari also spent nearly two years as a Young Professional at India’s National Rural Livelihood Mission (NRLM). She gained extensive experience working at the village-level in Andhra Pradesh, Chattisgarh, Jammu, and Kashmir during her immersion and was formally posted in Himachal Pradesh for project implementation and planning. During her appointment with NRLM, she focused on building the capacities of women’s self-help groups in the areas of rural livelihoods and sustainability. Tiwari is passionate about women’s empowerment and would like to see more women and girls assuming leadership positions, so they find solutions to the challenges they face.